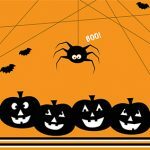 During this time of year, you expect to see a lot of creepy critters around the house – but as Halloween decorations, not pests in your HVAC. Ironically, there are probably both. When the temperatures start dropping below 70 degrees some of those critters may start seeking out places to escape the cooler temperatures. These 8-legged critters come in a wide variety of sizes and can easily skitter into your ductwork, vents, and indoor air conditioner any time of the year. Spiders that wander or hunt are usually found near some source of moisture (like the bathroom) – they need water like every other living creature, especially if they haven’t eaten lately. While they don’t really hurt anything in your HVAC and they’re downright useful outside, you probably don’t necessarily want spiders in your ductwork and crawling into your house. Additionally, some of them are venomous – and let’s face it, they can be downright creepy. It seems like cockroaches can get just about anywhere – and that includes your ductwork. And while they don’t cause much damage to the actual ductwork, they do carry diseases, including diarrhea, dysentery, typhoid fever, and cholera. They can also cause allergic reactions or trigger asthma symptoms. So, you don’t want them there. Once they get in, you need to have a pest control company treat the infested area. You want professionals doing this because improper fumigation can mean those chemicals get spread throughout the house the next time the heat turns on, potentially making you, your family, and your pets sick. Snakes are cold-blooded, which means their body temperature takes on the temperature of their environment. When it grows cold outside, they’re seeking warmer places, and that might be your ductwork. Even in the summer they might coil up around the condenser because it generates heat. The fan blades may start and destroy the snake, but the snake’s body can destroy the fan blades or other parts of the unit. Mice and rats are no friend to your heating and cooling system. They love to crawl into ducts and build nests, increasing in number and enlarging your problem. They also have been known to chew through refrigerant lines and other components in your HVAC system. They can also be dangerous to your health, spreading disease to humans directly through contact with feces, urine, or saliva (bites), or indirectly through fleas, ticks, and mites that have feasted on infected animals. Once they’re in, you’ll need a professional exterminator to safely rid your home of them. The best thing to do is the “ounce of prevention” route, which means using screens, sealing ducts, and keeping things clean. Screens – Air vents are little highways from the outside to the inside, so block this easy access by installing a mesh screen tightly over the entry. Sealed ducts – Cracks and loose seals in your ductwork are the primary entry points for insects. Make sure your ductwork is properly sealed with foil tape for small cracks or mastic sealant for large ones. Keep things clean – Regular cleaning removes dirt and allergens, as well as lint build-up in your dryer vent, which can also attract insects and rodents. Cover your air conditioning unit in the winter to keep dirt, debris, and critters from clogging up the place. Having regular maintenance done by an HVAC professional is also a good idea. Experienced technicians can properly clean specific areas and alert you to any potential problems – creepy critter or otherwise.